The Victorian style refers to the architecture popular in England and in the United States during the very long reign of Queen Victoria, who ruled from 1837 through 1901. The attractive painted brick home that you see here on Peterboro is an informative and pleasant example of the Late Victorian design as it was applied to the homes of prosperous Detroit residents late in the Nineteenth Century. You see an extensive use of wood on the exterior and much brickwork, suggesting different textures. Toward the top, there is a hipped roof with gables and much copper flashing that is now not so visible. There is a substantial protrusion of bay windows on the eastern side facing Peterboro, meaning that the entryway is recessed. Ionic columns support an appealing porch that provides cover for visitors as they wait for the household head or domestic servant to answer the door knocker. If you look carefully, you may be able to see highly-decorated wooden window hoods, one of them showing a bull's eye. This was a component of the Late Victorian style. That is, similar to the Queen Anne style, late Victorian homes were highly decorated and used both brick and wood. Edward C. Van Husan was a real estate broker and a civic activist in the early decades of Detroit's development as a national manufacturing center. Dr. Robert Gillman was a prominent eye-ears-nose physician in Detroit at the same time. 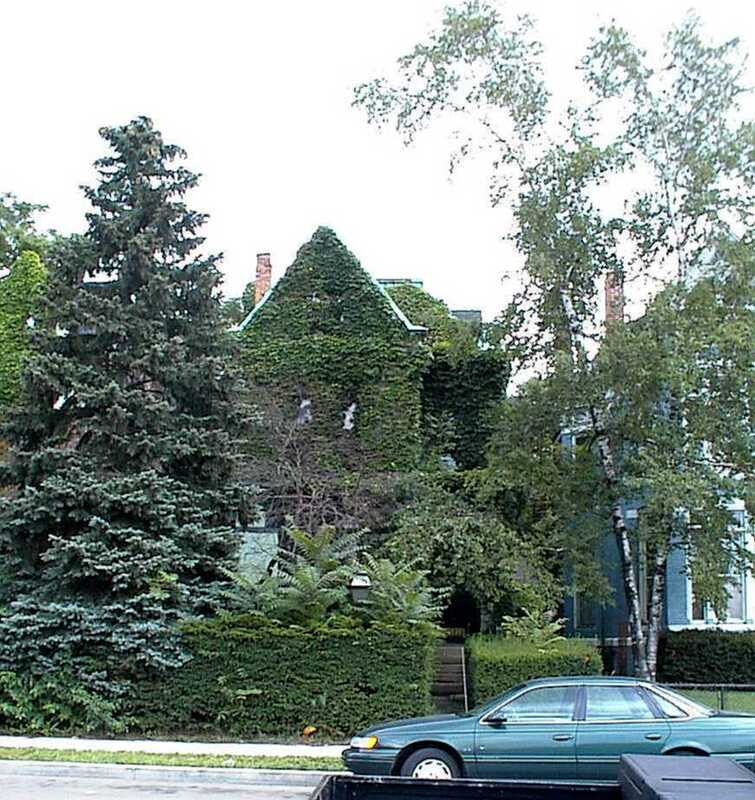 This interesting home should not be confused with the also historically significant William Van Moore—Robert B. Tanahill home which is nearby at 67 Peterboro. Architectural Style: Late Victorian. Indeed, this home is one of the most marvelous and clear examples of this architectural school in Detroit.